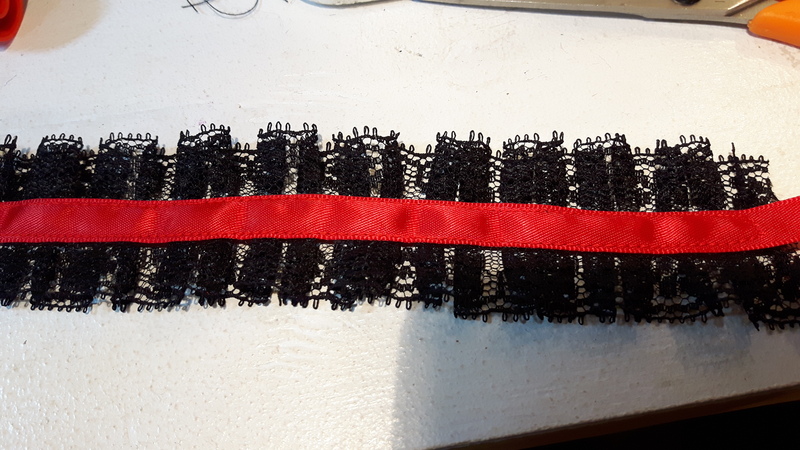 Satin ribbon, carefully edge-stitched to pleated lace. Many people adore chokers; a style going back to at least the 18th c plain black ribbon, to the frilly styles of the 1870’s, when so very much was worn at the neck, and beyond. I myself, being of substantial build, have generally found them too tight for my liking. Thus, we at Mrs. Milligan’s Millinery & Haberdashery are pleased to offer chokers in a range of sizes, to fit necks from 12” to well over 18”. 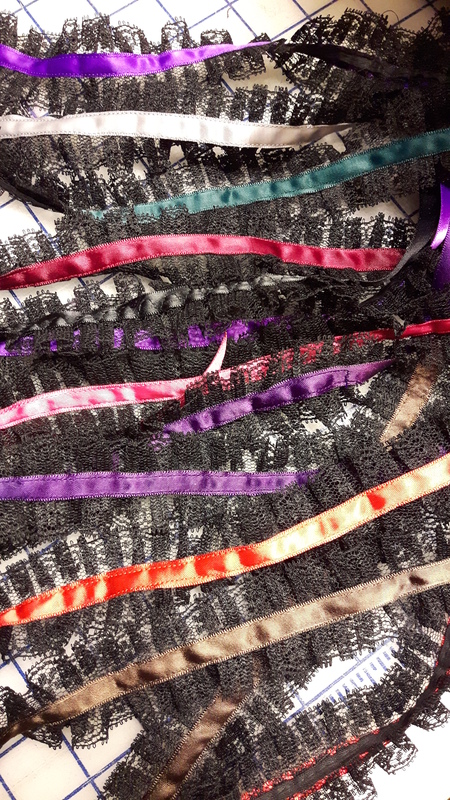 In pleated black or ivory lace, with our usual immense choice of ribbon colours.